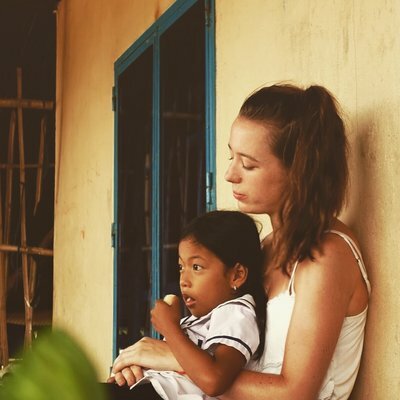 This year, I was lucky enough to embrace the once-in-a-lifetime opportunity to visit a traditional Ghanaian village, on a nursing placement with Work the World. 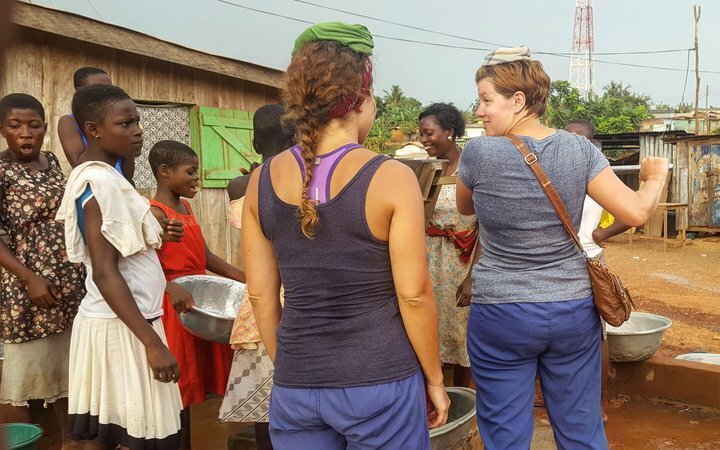 I spent an unforgettable week in a local clinic set in a quiet village, alongside my three-week city-based placement in Takoradi. By undertaking my placement with Work the World, I wanted to experience genuine West Africa and gain an authentic experience into Ghana, and I feel I really did that. 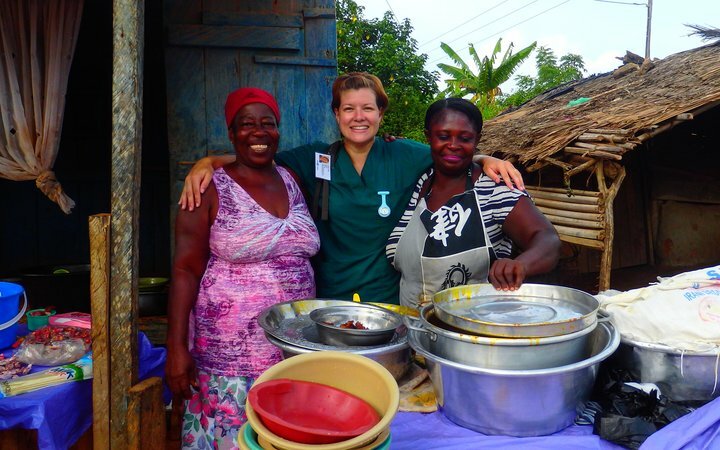 I had to decide between Ghana and Peru, and it really came down to the Village Healthcare Experience. Peru appealed to me because of my oncology background, and I wanted to experience the largest oncology department in South America, but because of workload at university, sadly I couldn’t commit to learning an intermediate level of Spanish. 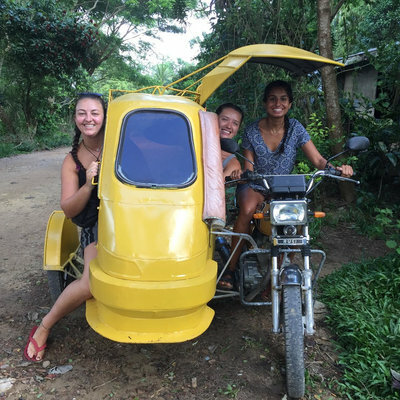 I had been to Sri Lanka for my honeymoon, but wanted somewhere new, and as I work with some amazing Filipino nurses, Iloilo was also tempting. But, honestly, Ghana spoke to me, which is why eventually I settled on Takoradi. Although I had studied a Global Health module as my elective module at university, where we had looked at the impact of HIV on healthcare, I thought I had a realistic expectation of what healthcare facilities there were in Ghana before I went out (and with how Work the World had prepared me), but until you’re there you don’t really know what to expect for sure. I knew that Ghana did not have enough healthcare funding generally, so the equipment and methods might be more basic or older than I was used to. 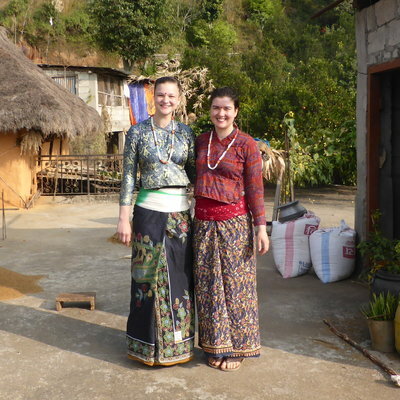 After speaking with the Work the World team before departure, I knew in contrast to my city-based placement where I stayed in a Work the World house, that during my village placement I would be staying with a lovely family for the week, accompanied by a WtW guide. The ladies and their family were amazing, and all the kids were very sweet, cheeky and fun to be around. The first three weeks in Takoradi for my city based placement, I felt very well looked after by Work the World, and was excited to head to the village. 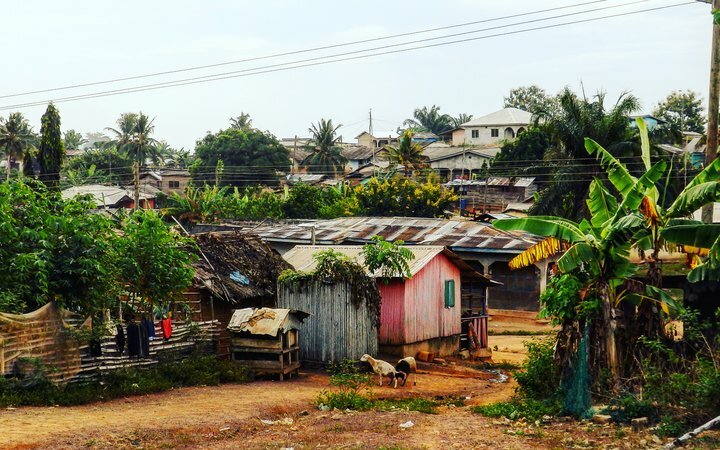 The village experience allows you to fully immerse yourself into the local’s way of life, and going from the wonderfully comfortable Work the World house to a traditional Ghanaian village home certainly gives you a more rounded view of life in Ghana. It was great to play with the children in the village, see how the families earned their money, cook their meals, and generally throw yourself into day-to-day life. The main stresses in the village clinic we spent the week at were clearly lack of staff. The main nurse was under enormous pressure to run the clinic. He had to do almost everything himself, and one day, senior staff came to visit the clinic and told him he needed to also be weeding the yard, tidying and cleaning. This was a clear example of how overworked he was, having to do both medical treatment and diagnosis, and general housekeeping of the clinic. He was looking after 2,000 people in the catchment area of the clinic, having to make himself an expert in lots of disciplines and working with very minimal resources. 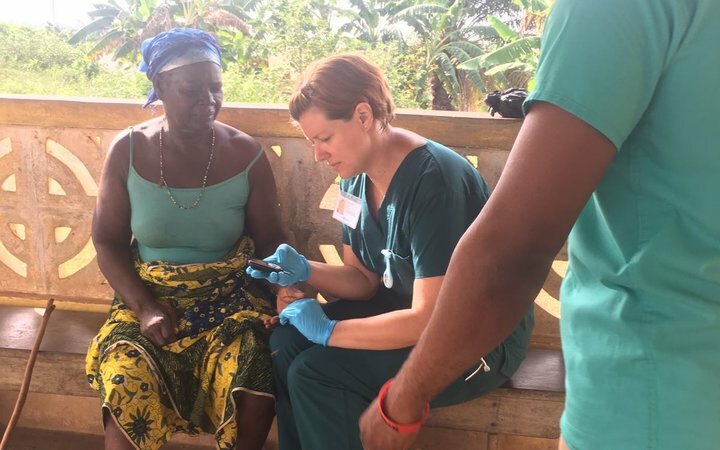 The differences were obvious, firstly between the Ghanaian hospital and hospitals in the UK, but also between the village clinic and the hospital in Takoradi. Comparing the clinic to the hospital back in town, the hospital felt like pure luxury. For example, a big difference was the amount and type of training the nurse at the clinic had. He can look at a child and tell they have malaria instantly; but in other aspects of community healthcare, like hypertension and diabetes, he hadn’t been exposed to as much. The clinic itself is best described as a room, with a desk, loads of notes piled floor to ceiling, a drugs cupboard and a storage cupboard. The clinic is literally next door to a school so you can hear the kids playing; some of the older children come and help by sweeping and tidying up. It’s nice to see that the community really respect the healthcare centre and want to help out. There’s also no running water inside the clinic which meant that sterilization and infection control were even more of a challenge. There was a bed that Kerry was able to use for a bit of physiotherapy with the patients, but still, resources were very limited. For me, one of the hardest things to get my head around was that people had to pay for things we take for granted in the UK. For example, a 9 year old girl got badly hit by a taxi and no-one could pay for the x-ray they needed to help her. They had the facilities, but they couldn’t do it as it would cost £6 and she had no one to pay for it. An average day in the village started at 6 or 6:30, followed by some breakfast with the family and a walk into the village centre. We were there on a busy week, with lots of baby clinics and vaccination clinics. We also found a lot of the needs in the community were actually for physiotherapy, so Kerry was very busy. We’d sometimes have a patient visit the clinic, and then we might go to their house the next day. One thing we did see a lot of was malaria, so there was a big focus on it in the clinic. From 2 until 3pm, we would walk back to the house and our host family would have made us a massive lunch; you will not go hungry in their house! Even if you say no, they will keep piling your plate high with Auntie’s home cooking which is delicious. Then, we’d meet our Work the World guide to go out on the afternoon excursion, something we did every afternoon. One afternoon, we took a boat trip down through to another village which was really interesting. We also went to Cape Three Point, which is the most southern point of Ghana. It was lovely; the lighthouse was gorgeous and the scenery amazing, and my favourite activity of the week. We also went on a long hike one afternoon to see some ruins, and another day we went to the beach for a chilled out afternoon. We took one of our host family’s kids with us, and played with her, it was so nice to feel like one big extended family! We sometimes had power cuts, and these were a great chance to play with the children, teaching them “Heads, Shoulders, Knees and Toes” and “The Hokey Cokey”. The family were delighted to share their time and home with us and it made a big difference to the overall experience. If someone was planning on going away with Work the World, I would absolutely insist that they do the Village Healthcare Experience. It makes you realise the difference between rural and urban areas and facilities. In the cities, people don’t have to walk 6-7 miles on the off-chance they might see a doctor, knowing may not even get help or medication because they don’t have the money. Another thing worth bearing in mind, is that in the UK, staff have the luxury of finishing a 12-hour shift and going home. The nurse at the clinic worked 24/7 both in and outside the clinic to help his community. There was always someone to see, and even people coming up to him in the street to ask medical questions at any time of day. He never switches off. I would stress the importance of community when going to Ghana. My final advice is: Embrace it, work within your means, and don’t be judgemental. That way, you can do your absolute best!